The Malvasia vineyards in Tierras de Castilla y Leon are growing in importance and extension. The wines from these vineyards are a solid promise for the future of this local grape variety. This wine is a tribute to its appearances in Literature. Pale yellow with greenish tones. Intense aromas of white fruits such as apples or pears or exotic fruits like grapefruit. 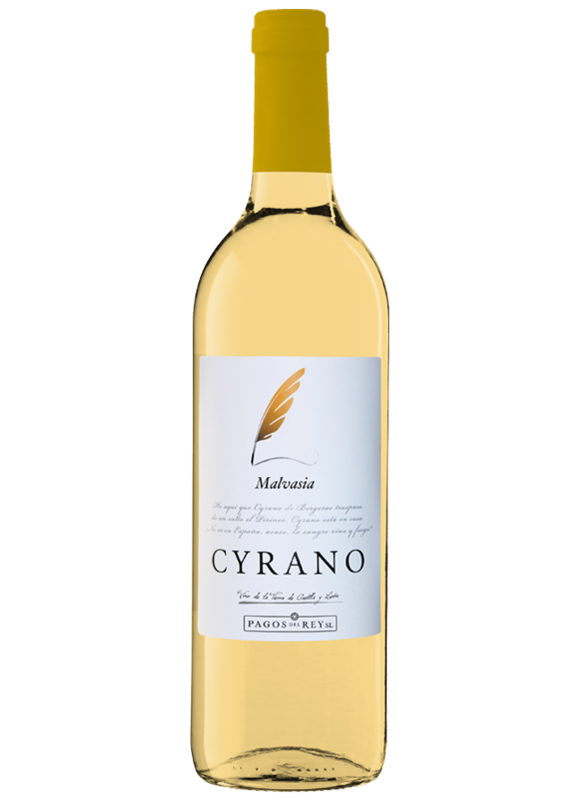 Fresh and creamy pleasant palate with noticeable legs, since it is a rather glycerine rich wine. Balanced and elegant aftertaste thanks to its subtle acidity. Especially suitable to go with starters, seafood or fresh cheese and salad, amongst other dishes. Grapes are picked at their optimum ripeness level to obtain a well-balanced wine with just the right levels of sweetness and acidity. The wine undergoes a short period of cold maceration of around 6 hours. Fermentation takes place at 14-16 ºC in stainless steel tanks for 12-14 days. It is followed by a short ageing period on lees to produce an elegant, fresh and fruity wine.